Ativan is the brand name for lorazepam, a powerful medication frequently prescribed to treat symptoms of anxiety, panic disorders and insomnia. It can be relatively safe when used strictly as prescribed. Some people take Ativan appropriately at first, then end up taking it in ways other than prescribed. Other people abuse the drug intentionally for recreational purposes, often in conjunction with alcohol or other drugs. Mixed with water and injected. These methods are all extremely ill-advised routes of administration. The most pronounced effect of Ativan use is a peaceful, calm or sleepy feeling and a reduction in anxiety. Long-term use of Ativan may result in impaired emotions and a flat, numb feeling that, over time, can give way to depression, suicidal thoughts or other mental health complications. Long-term users may also experience clouded thinking, difficulty concentrating and memory impairment. This reduction in consciousness and inability to think clearly can cause people to be unaware of their surroundings, which increases the risk of accidents and overdose. Cognitive damage may be permanent, especially in elderly patients who have deteriorating cognition or memory loss due to aging. Although Ativan is prescribed to reduce anxiety, high doses taken over time can incite a paradoxical reaction, also known as paradoxical excitement, in which users may experience effects that are the opposite of the desired results. Ativan is a drug that belongs to a class of drugs known as benzodiazepines. It produces feelings of mild euphoria, relaxation and peace very quickly. Most people who receive legitimate prescriptions and use the drug properly experience no cravings, but for some people, those feelings of mild euphoria, relaxation and peace can be difficult to resist and may lead to overuse of the drug. Many addiction experts believe that Ativan is a dangerous drug simply because it is so easy to like. According to the National Institute on Drug Abuse (NIDA), Ativan abuse leads to changes in brain function that contribute directly to cravings. Long-term use of Ativan can lead to physical dependence. This dependency can elicit overt abuse or addictive behaviors like obsessive drug-seeking, doctor shopping and purchasing drugs illegally. Dependence rarely occurs when the drug is used as prescribed. However, many people who abuse the drug unintentionally are unaware they have developed a physical dependence until they experience withdrawal symptoms upon stopping the medication. Because of its potential for dependence and addiction, Ativan isn’t intended to be a long-term solution. It should be used for short periods of time – no more than two to four weeks. As cravings for Ativan grow, an increasing amounts of the drug is needed to experience the same level of sedation and anxiety relief. This can cause people to feel anxious and ill when the drug isn’t available. As a result, getting and using Ativan becomes critically important—sometimes even more than family, friends, careers or school. Although dependence can occur with any drug (including alcohol), research suggests that Ativan’s powerful effects on sleep and mood increase the chances that dependence and tolerance will occur. Withdrawal consists of symptoms that occur when a drug is stopped or decreased after long-term or frequent use. Ativan should never be stopped suddenly if it has been used in large quantities or for a substantial length of time because withdrawal symptoms can be severe and sometimes deadly. Addiction experts at the University of Maryland Center for Substance Abuse Research (CESAR), recommend that use of Ativan should be tapered very slowly until the user can stop without serious discomfort. Ativan’s (and, indeed, all benzodiazepines) severe withdrawal profile is one of the reasons it is so challenging for people to curtail their use. If you or someone you love has seen their prescription Ativan use turn into a daily struggle, marked by an inability to cope without the drug, or a profound fear of withdrawal symptoms, it’s time to seek help. Our treatment support team can provide more information at 1-888-993-3112Who Answers?. Ativan addiction presents a number of possible health effects. People who inject the drug are vulnerable to skin infections and blood clots as well as sexually transmitted diseases such as hepatitis and HIV/AIDS. 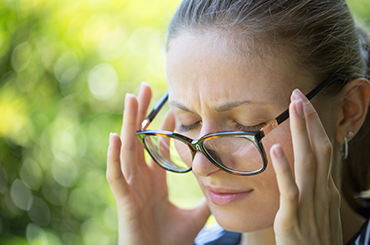 Car accidents, as well as mishaps at work and home are frequent consequences of muscular weakness, vertigo, altered reaction times, decreased coordination and confusion that result from over-sedation. to secure the drug illegally. Problems are compounded when Ativan is combined with other substances such as alcohol or heroin. Loss of employment and disintegration of social relationships are common for chronic users. Although research on pregnant women and infants is in the early stages, studies suggest that Ativan may cause symptoms similar to fetal alcohol syndrome, including withdrawal symptoms that occur in infants two to three weeks after birth. People with co-occurring disorders such as depression, post-traumatic stress disorder or bipolar disorder are more vulnerable to addiction to prescription drugs such as Ativan; however, some people become dependent on Ativan without realizing they have undiagnosed mental and emotional problems. In fact, they may be self-medicating those feelings of sadness and anxiety and become addicted due to the symptom alleviation that Ativan provides. The National Alliance on Mental Illness (NAMI), estimates that approximately 50% of people with severe mental illness are also affected by substance abuse or addiction. Studies also indicate that chronic use of Ativan may cause emotional dulling and apathy, may aggravate symptoms of depression and may even provoke suicidal ideation. If you are struggling under the weight of an Ativan dependency, a benzodiazepine treatment program can provide help. Call 1-888-993-3112Who Answers? to speak to a confidential treatment advisor about potential Ativan addiction treatment resources.